Welcome back to Day 7 of Scandinavian Christmas! Today we get to hear from my sweet cousin-in-law, Erica. 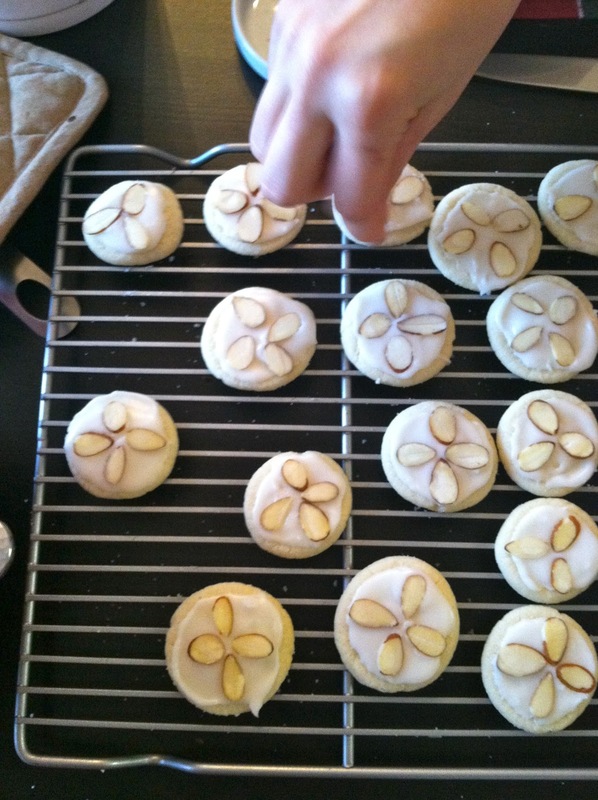 She has a neat blog all about her cooking adventures and life with her hubby (my cousin), Sten. They are the cutest. This is Erica's second year participating in the series, she did an awesome post last year about how to make rossettes. I'm so glad she's back this year to share another tasty Scandinavian treat! I am so honored to participate in Scandinavian Christmas again this year! 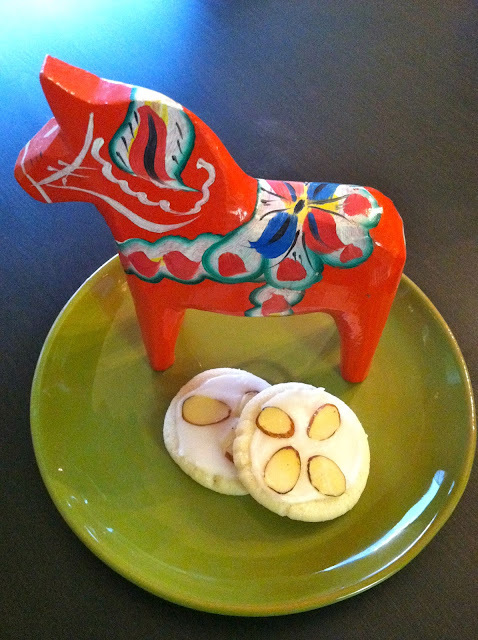 I am so excited to share my ultimate favorite Swedish Christmas cookie: Almond Cookies! 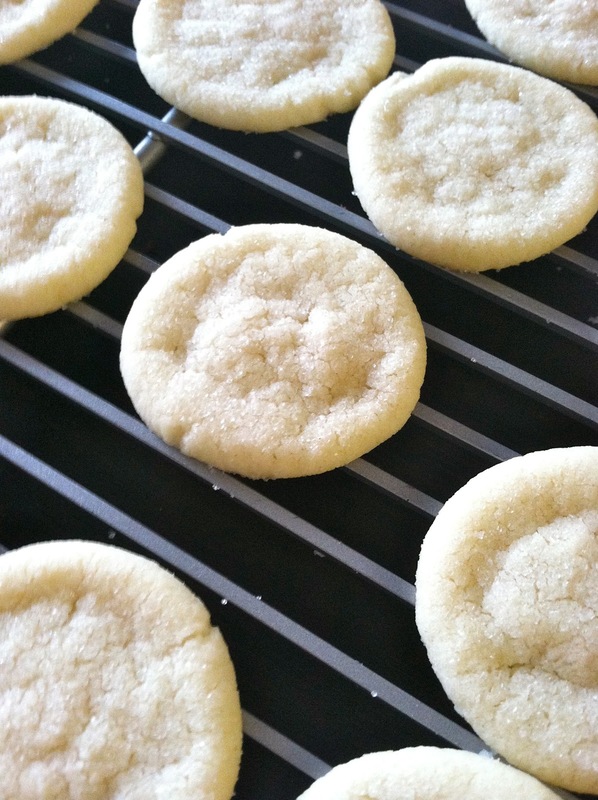 These cookies sure get me in the mood to celebrate the season. My husband's family celebrates Christmas with a Swedish Smorgasbord, lots of presents and lots of family time. I didn't know there were so many Swedish foods until I went to my first Carlson Christmas and was Swed-a-fied... These cookies are something my mother-in-law makes every year, and I just LOVE them. 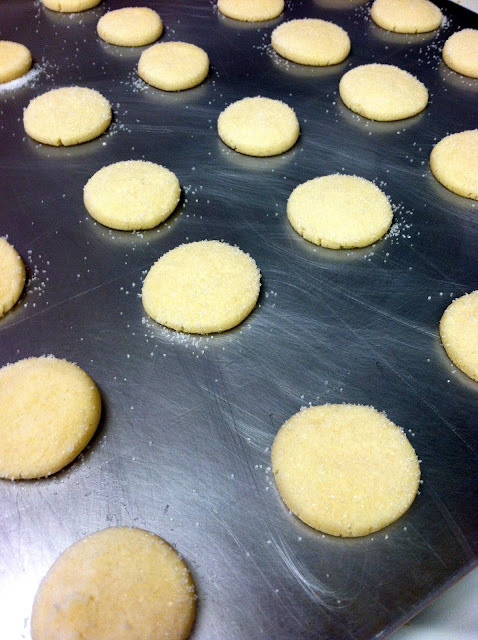 They melt in your mouth, they are delicate, beautiful, and so delicious there is absolutely no way to eat just one. Preheat oven to 400 degrees. 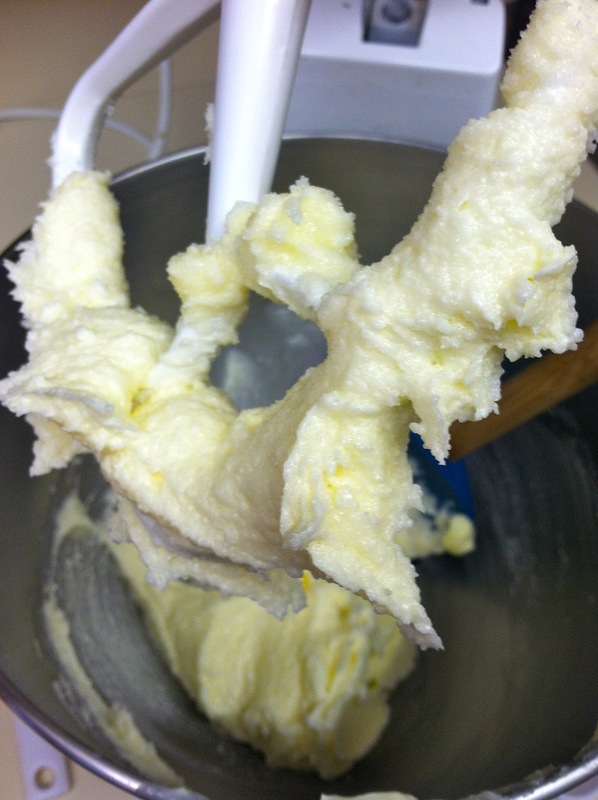 Beat butter, sugar and almond extract. Stir in flour, baking powder and salt until well blended. 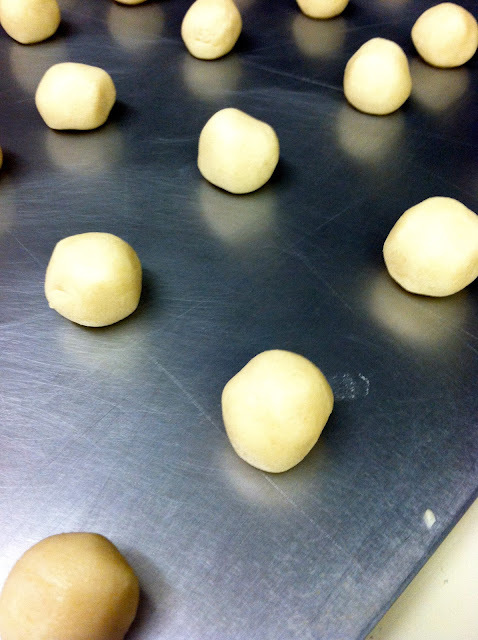 Roll into 1 inch balls, place on an ungreased cookie sheet. Flatten to 1/4 inch with a buttered glass dipped in sugar. Bake 7-9 minutes, or until edges just start to brown. Let cool. 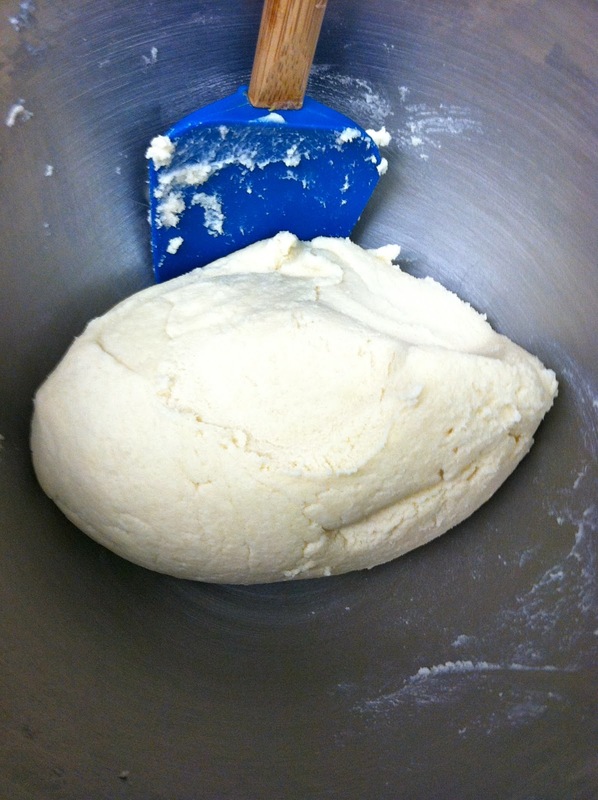 Mix glaze ingredients. 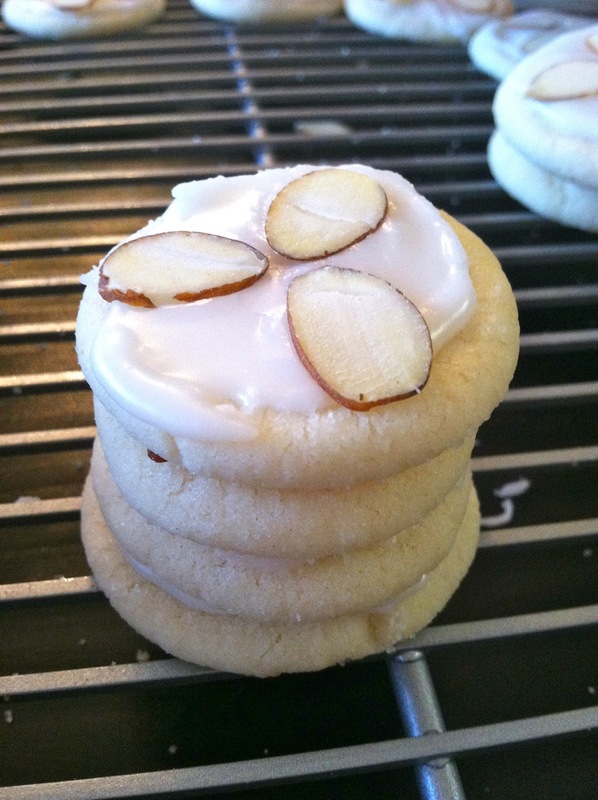 Frost a couple cookies at a time then top with slivered almonds. 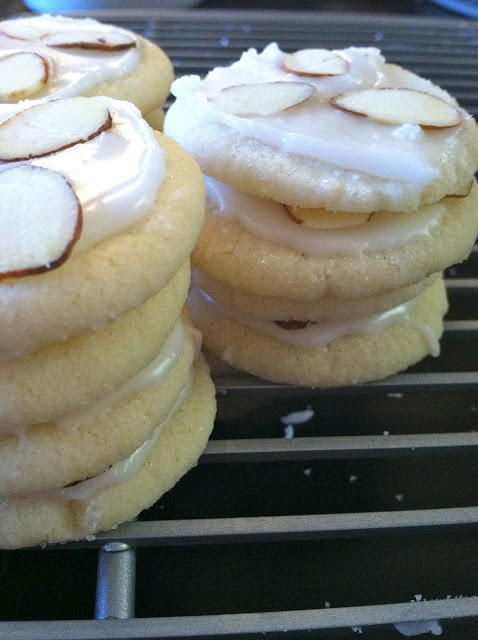 The frosting sets quickly, therefore, top while you go. Thank you, Erica! Come back tomorrow for Day 8 to hear from KJ! I am glad this is only day 7 and we still have 6 more days to go! I don't want Scandinavian Christmas to end!!!!! These cookies look delicious and are certainly beautiful. Lovely tutorial, Erica. Definitely MUST try these! Erica, I will definitely add these to my baking list. I love trying different Scandinavian sweets. Surely the 1/4 CUP of salt is a typo?? That seems like an awfully lot of salt! Maybe 1/4 TEASPOON of salt??? The pictures look delicious!